Lightest terminal: urxvt in daemon/client mode? 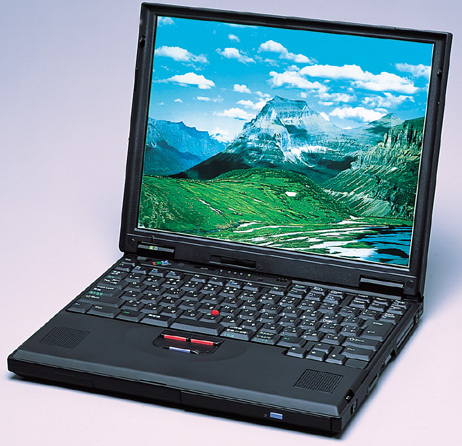 I still use an old IBM Thinkpad 600E that I bought second hand a decade ago. It still works. Well, the battery is dead, I added RAM as much as the motherboard can handle (2x 128 MB DIMM modules + 50 MB onboard module – something like that) and I changed, several years ago, the hard-drive, replacing the stock one with a more recent rescued from a short-lived Acer Aspire that belonged to my brother. It still works. Sure, it is subject to bugs that will probably never get fixed, but none that you can’t work around. It still works. But… But it is not a very fast computer however. It is not really that it runs slower than in the past. It is not really that we get used to faster computer. The fact is that software developers have not much reasons to write code light enough to run smoothly on this old piece of junk. So they don’t, most of them. You end up running obsolete software or be very glad to find pieces of software like Midori (lightweight webbrowser based on WebKit). Yes, yes, I will get to the point. The point is whatever you can get can make a difference. I tried to run dash instead of bash. Bleua. That’s fine for scripts. But I cannot live with no completion at all. So I stayed with the Bourne Again Shell. But I had to cut of most of completions (how now, the endless scripts in /etc/bash_completion.d) to avoid waiting hours to get a shell to start. So here comes urxvt. urxvt is fast. Like aterm. But it supports UTF-8. And it matters. Then, everytime you need a terminal, call uxrvtc instead of urxvt. There are no real-life drawbacks that I encountered so far. and added the string use-urxvtd in /etc/X11/Xsession.options but that’s a bit overkill as debian already provides urxvtcd that fires up urxvtc while making sure urxwtd is running.